Through Core Plus Aerospace, students learn manufacturing and universal workplace skills that are in demand, and they graduate high school with more options. 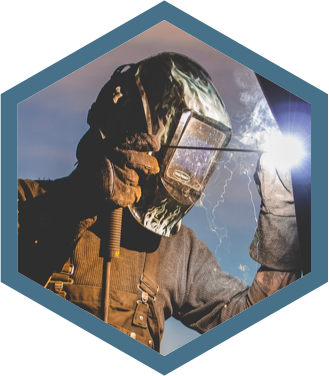 The two-year curriculum includes opportunities to study a range of concepts – from materials science to advanced composites – in a hands-on environment. Students learn by doing and, depending on their district, they can earn math, science, English, Career and Technical Education (CTE), and elective credits. 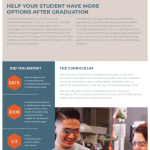 Developed in partnership with Boeing, Core Plus Aerospace gives students a clear advantage when applying for manufacturing jobs, apprenticeships, and certificate and degree programs in fields such as applied sciences and engineering. Instructors and students share their experiences in a Core Plus Aerospace classroom and graduates share how the curriculum prepared them for success. Learn how Core Plus Aerospace prepares students for success in any path they choose after high school.